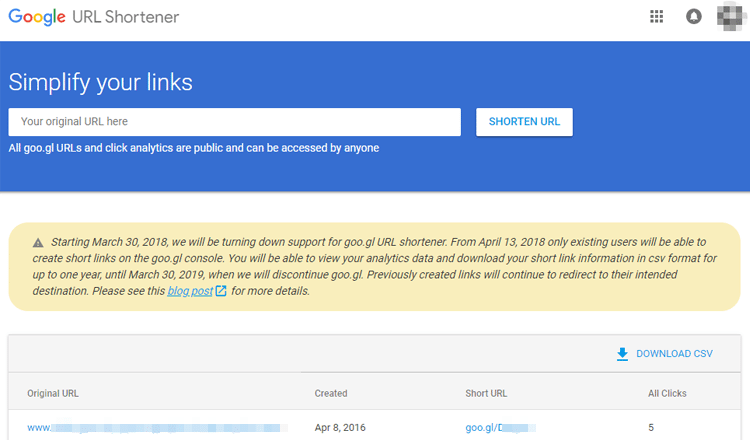 Google has stopped supporting its goo.gl link shortener, and it will discontinue it entirely by the end of March 2019. The service already won't allow new registrations, and only existing users can create links, manage them and view their analytics. So, if we used goo.gl in the past or are still using it, it would be wise to start looking for a different link shortener. Here are the best link shortening services, which can serve as a goo.gl alternative. Which is your favorite goo.gl alternative service? A link shortener is an online service with a simple, self-explanatory purpose: we insert a full-sized URL, and the site converts it into a substantially shorter link one that still leads to the same page. The primary purpose of link shortening services is to create URLs that are easier to share, especially in social media. Don't forget that for most of its history, Twitter would only allow up to 140 characters per post. Without a link shortener, a link such as https://www.pcsteps.com/19583-best-smartphone-apps-for-students-android-iphone/ would eat up 79 characters of a tweet. Not to mention URLs which contain non-latin alphabets, such as the Cyrillic or Greek, where the pasted URL is encoded. This can easily take the characters to the hundreds. Using a link shortener service will give us https://bit.ly/2O03x2i, with a total of 22 characters. There is a clear difference between them. Of course, nowadays Twitter automatically shortens links, and we can tweet up to 280 characters. However, a shortened link looks better when we share it on any social media platform, chat, or elsewhere. 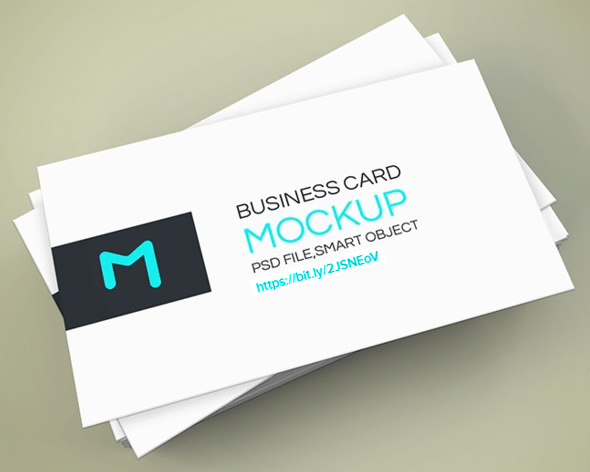 Also, shortened links can fit better into a business card or ad. Most link shortener sites allow us to choose a custom, easy-to-remember name for each link. Apart from aesthetics and reducing the number of characters, link shortener services can have several additional uses. Among others, they can record the traffic of each link, keep statistics, show analytical data for the visitors, redirect links, and provide us with a range of tools. In December 2009, Google activated the goo.gl shortening service for Google Toolbar and Feedburner. The search giant publicly launched a separate goo.gl website by September 2010. Since then, goo.gl had become one of the most popular link shortener services. However, on March 30th, 2018, Google ended the support for goo.gl. They also disabled the new user registration on April 13th. Existing users have less than a year to view their analytics data and download the short link information in CSV format. On March 30, 2019, Google will completely discontinue the service. Goo.gl short links will redirect to Firebase Dynamic Links. 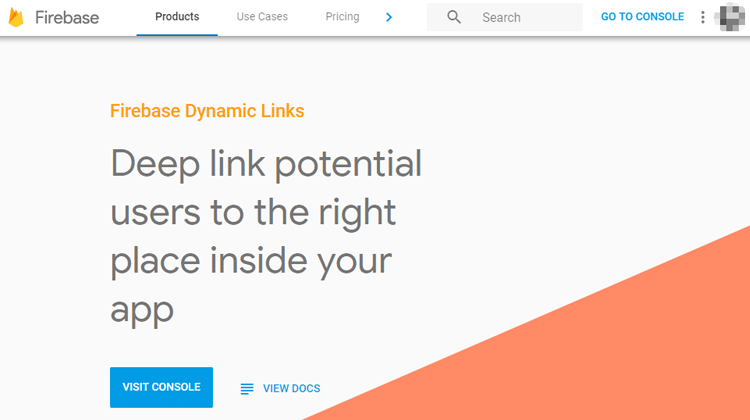 Firebase Dynamic Links are "smart" links which direct users to the corresponding content, depending on what platform they opened the link. For example, if the user opens the link from their smartphone, they will automatically visit the mobile version of the site. If they clicked the link from their PC or Mac, then they will see the desktop version of the site. For the time being, and until March 30th, 2019, existing users can still create new goo.gl links. After that date, the links will still work, but users won't be able to see the statistics or manage them. Google suggests that we should switch to Firebase Dynamic Links or use another link shortener. Let's see which are the best goo.gl alternative services. However, we should note that shortened links aren't welcome everywhere. The reason is that until we click on the link, we won't know where it leads. It could be any domain, including malicious and phishing websites. This is why specific forums explicitly forbid the use of shortened links. The first goo.gl alternative service on our list is TinyURL. Not because it's the best tool available, but because it's the most simple and straightforward link shortener. TinyURL launched in 2002, and it hasn't changed since. We don't need an account to use it. 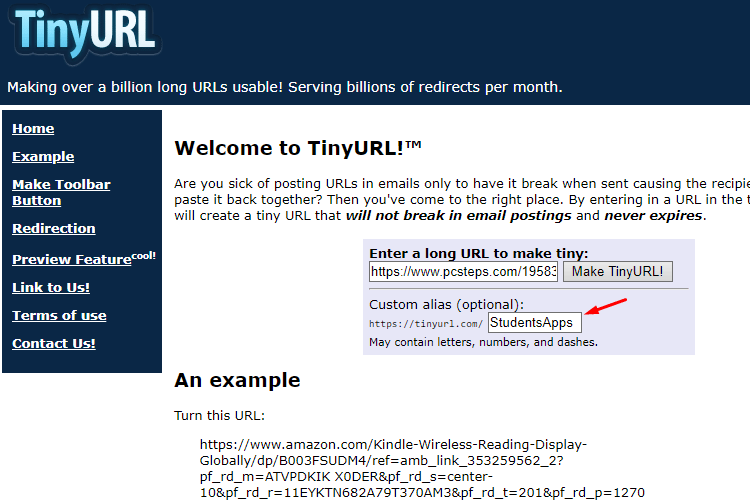 We open the page, type the link we want to shorten and click "Make TinyURL!" 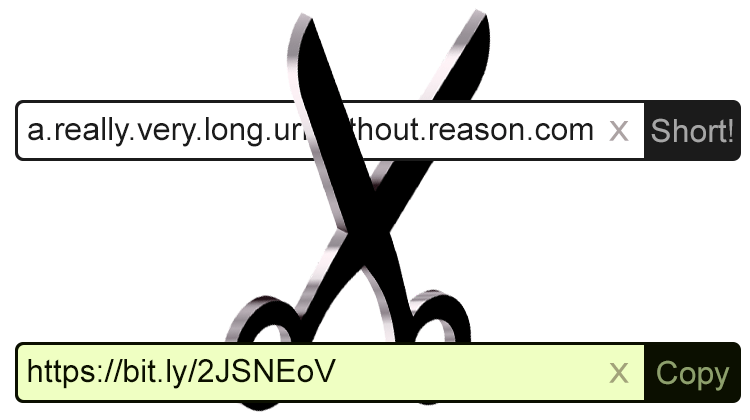 We can also create customized short links in TinyURL. Before we hit the button, we fill in the "Custom alias" box, to get a personalized URL instead of random characters. After the creation, TinyURL will keep the link forever, there is no expiration date. At least as long as TinyURL exists as a service. Conclusion: If we want a simple link shortener service, and don't care about analytics, then TinyURL is a straightforward goo.gl alternative. 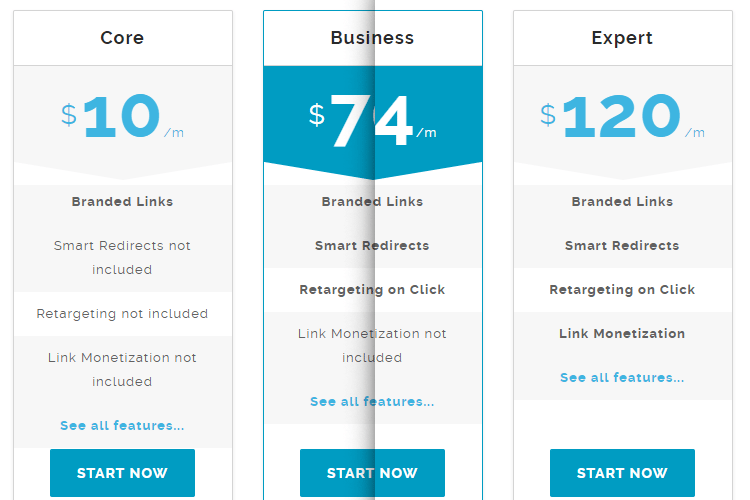 Bitly is the oldest and arguably the most famous link shortener tool. It is one of the two link shortener services Google mentioned by name as a goo.gl alternative. The service allows us to shorten a link without registration, but we won't have access to the activity and analytics of those links. Creating an account doesn't cost a penny, and it covers the needs of an average user. Specifically, with a free account, we can shorten and create custom links. We can also see 30-day analytics, and we can have up to 500 branded links per month. 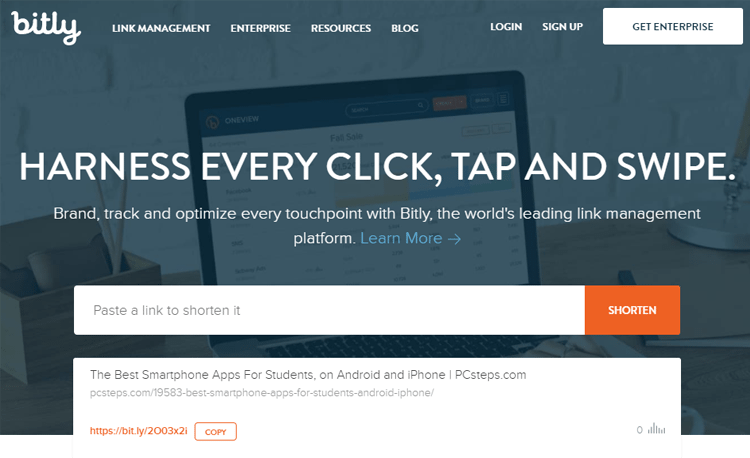 For example, in PCsteps we use Bitly, and our shortened link is pcste.ps. 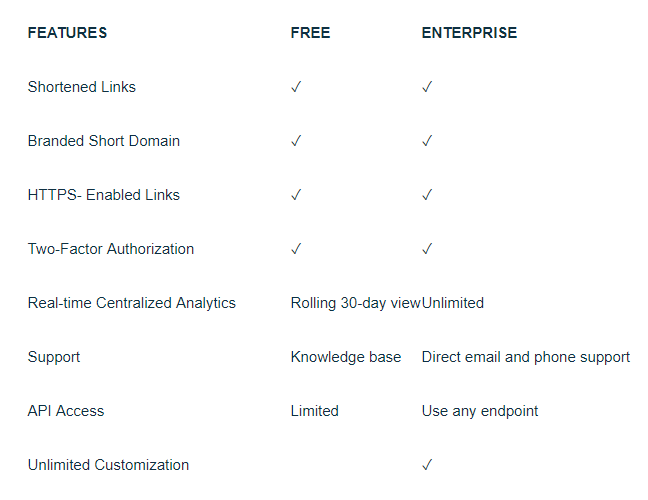 With the free account, we have two-factor authorization, https-enabled links, access to the Bitly's knowledge base, and limited use of APIs with which we can create shorter links through third-party apps. The owners of a large enterprise should opt for Bitly's Enterprise Edition. Unfortunately, Bitly doesn't announce how much their plans cost. Typically, if we need to get in contact with a service to learn its prices, it means that they are expensive. From older pricelists we found online, there used to be a $500/month Startup plan, a $1000/month Growth plan, and the Enterprise plan had always had a customized cost. So, its probably safe to assume that the monthly cost will surpass $1000. Conclusion: Bitly is an excellent goo.gl alternative for anyone who wants a link shortener service which tracks our analytics, even if it is just for 30 days. The 500 branded links per month are also a nice addition. 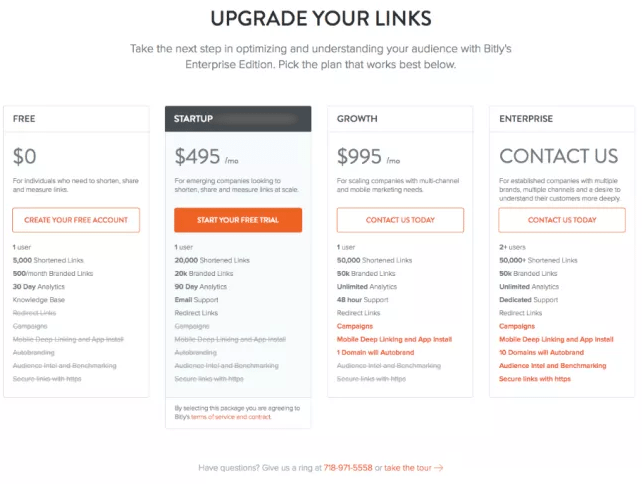 If we have a big business with increased needs and we can justify a cost that will probably go into the thousands, Bitly's Enterprise subscription provides numerous additional features. These two link shortener pages are part of their respective social media link sharing apps. 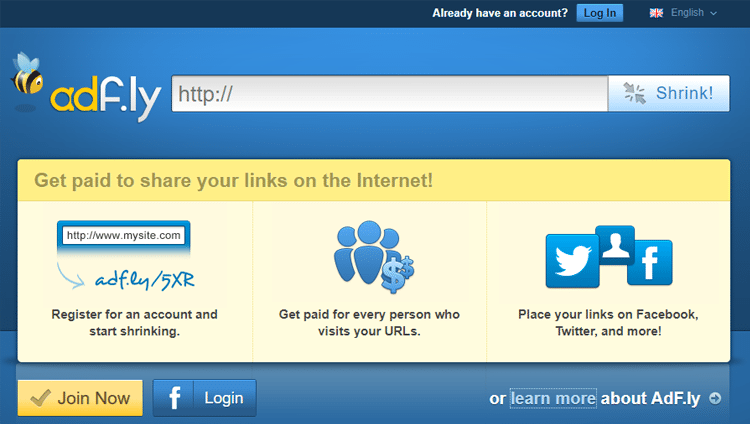 Ow.ly is HootSuite's link shortener tool, and it's only available to those who use the application. It is free of charge, keeps statistics, and provides almost everything that other goo.gl alternative services do. However, having a custom domain will cost us. Similarly, Buff.ly is Buffer's link shortener service, and only the app's users have access to it. 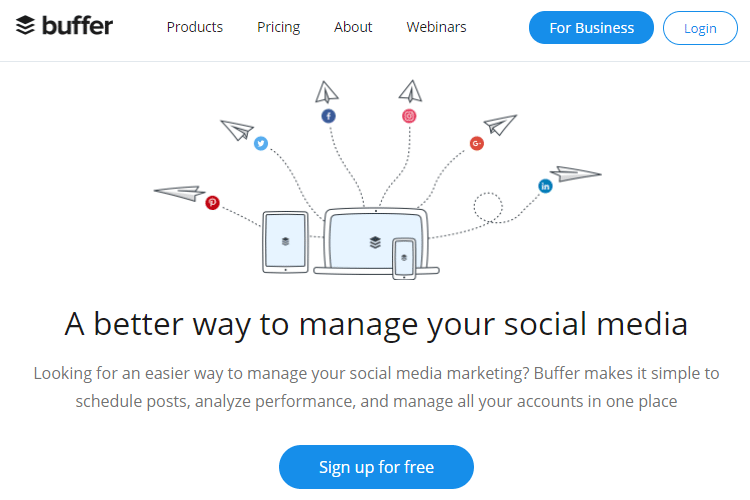 Buffer actually uses Bitly's API. 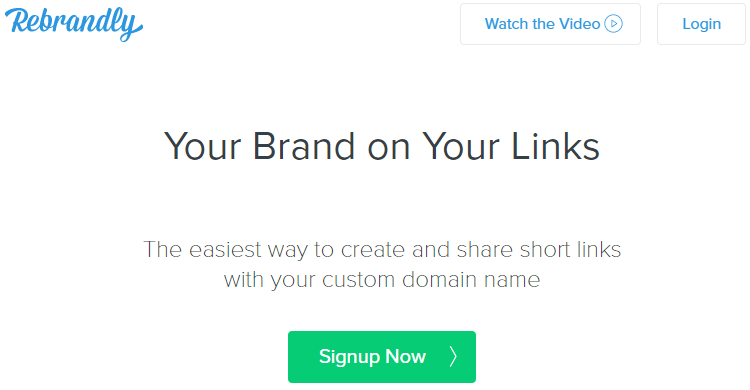 If we have a paid Buffer subscription, we can use a custom domain through Bitly. Conclusion: HootSuite's and Buffer's link shortener services are useful for those who already use these tools to publish posts on their social media accounts. However, if we only want to use a link shortener for personal use, there are goo.gl alternative services that will suit us better. Rebrandly's philosophy is that the brand comes first and everything else is secondary. It has various features and a versatile link editing tool. 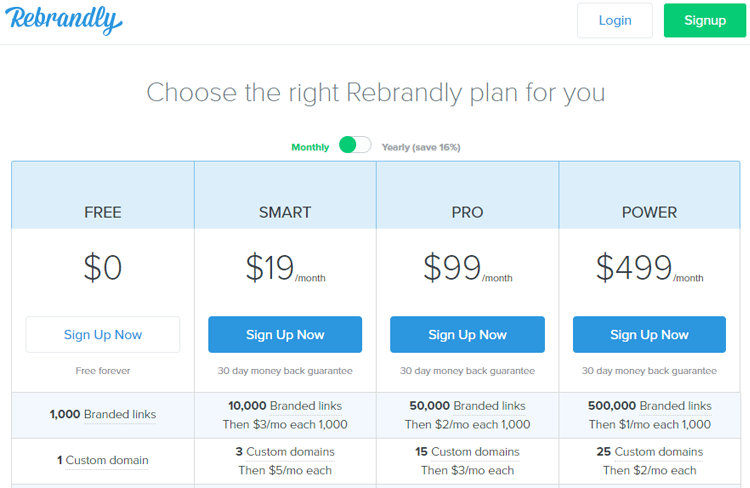 Initially, we need to create a free account on Rebrandly. Then, with this account, we can generate 1000 branded links per month. In general, we can use our domain or buy one through Rebrandly. We can also create a QR code for each link, and we can do all these through the mobile app. The features that we get with the free plan are more than enough for the average user, but there also are a few paid plans to choose. The prices range from $19 to $500 per month. Conclusion: For a small business, Bitly is very expensive, so Rebrandly is a better goo.gl alternative for custom domains. For average users, however, Rebrandly may be a bit overkill. Clkim is similar to Rebrandly; it provides a broader range of tools, its UI is user-friendly and has excellent prices. Clkim's main difference is that it doesn't have a free plan; the most affordable one costs $10 per month. However, it allows unlimited branded links with our domain, if we create them manually, and 10,000 monthly through API. If we invest in the most expensive plan for $100 per month, then we can run ads on the links we create, and it can even predict and bypass AdBlock software. Conclusion: Unlike Rebrandly, Clkim doesn't have a free plan. If we aspire to make a profit from a link shortener, then we have to choose the expensive $100 per month plan. Since all plans have a 14-day trial version, if we are interested in a goo.gl alternative with ads, it may be worth giving it a try, and see if we make any profit from it. 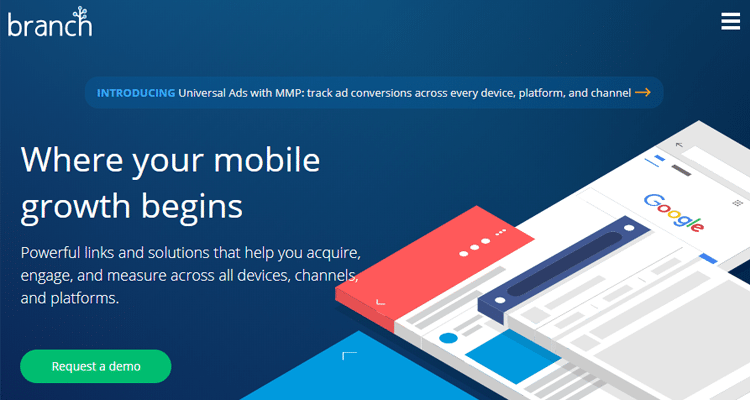 Since we are in the topic of ad revenue, it's an excellent opportunity to mention adf.ly, in which users get paid from the ads on their links. Creating an account in adf.ly is free. On the site, we can use the link shortener, view statistics, create scripts, and more. 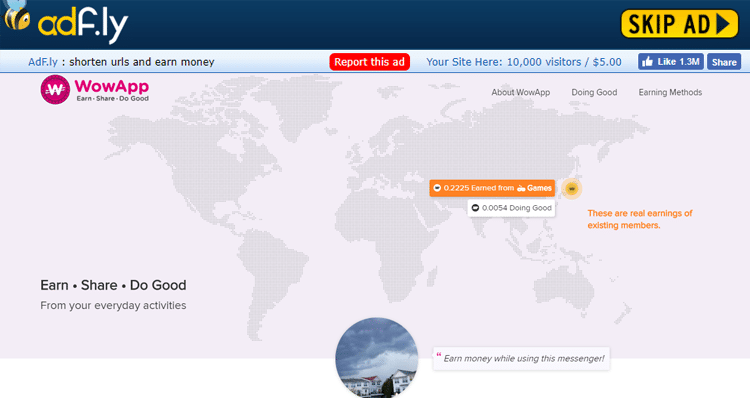 On adf.ly, ads block every link we create. Users who click on the link have to stay on the page for 5 seconds before they can press "SKIP AD" and move to the desired page. From the ad revenue, adf.ly keeps a percentage, and the rest goes to the link creator. Of course, this is quite annoying for those who click on our links. So if we have our site and we use adf.ly links, we inevitably make a negative impression on our visitors. Also, in most forums, there is a strict policy for such links, and there is a great chance to get banned if we use them. Likewise, many social media sites consider these links as spam, regardless of the destination. Conclusion: Adf.ly is useful for those who want to make additional revenue, and don't care about the negative implications those who click on our links will have. But if we only interested in analytics and shortened links, its best to select another goo.gl alternative. Branch.io is a particularly specific solution. The company specializes in deep linking and aims to improve performance on mobile devices. We can get most features of Branch.io on the free tier. We can, of course, try the bigger plans for two weeks before deciding if we want to pay for them. The basic free plan is for apps from small studios. On the other hand, if we are a large company, then the premium plans, which start at $59 per month, will be perfect for us. Conclusion: Branch.io is the ideal solution for app developers or companies that create apps. Nevertheless, it is worth considering other goo.gl alternative services that may be better for us. As we have seen, link shortener pages offer more than just shorter links; we can have access to detailed analytics, and also monetize them. Have you tried any of these goo.gl alternative services? Is there any other we failed to mention? Let us know in the comments below.